“The primary function of the Independent juror is not, as many think, to dispense punishment to fellow citizens accused of breaking various laws, but rather to protect fellow citizens from tyrannical abuses of power by government. The Constitution guarantees you the right to trial by jury. Lets get this out of the way first.” Here is a copy of the Juror’s handbook provided by the Fully Informed Jury Association (FIJA). It provides you with what your real powers and duties are and how you are the last resort for keeping a out of control government in check. This means that government must bring its case before a jury of The People if government wants to deprive any person of life, liberty, or property. Jurors can say no to government tyranny by refusing to convict. Georgia v. Brailsford, 3 U.S. 1 (1794), was an early United States Supreme Court case where the presiding judge of the Court instructed the jury, in part, that a jury has a right to judge the law as well as the facts. This case is often cited as precedent by proponents of jury nullification. One scholar has argued that the jury the Supreme Court used in this case was a special jury of merchants of the type used by Lord Mansfield. Supreme Court Justice Sotomayor supports practice of Jury Nullification. 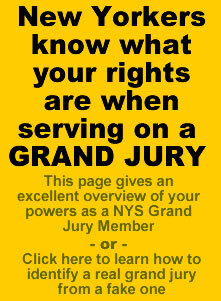 The Fully Informed Jury Association (FIJA), who would probably agree with the aforementioned critique, is a group dedicating themselves to educate the American populace on the full powers of jurors, which includes the right to judge the merits of the law as well as the applications. Currently FIJA bills have been introduced in Arizona, Alaska, Arkansas, California, Colorado, Connecticut, Georgia, Iowa, Louisiana, Massachusetts, Nevada, New York, Oklahoma, Oregon, South Carolina, Tennessee, Texas, Utah and South Dakota. More here. 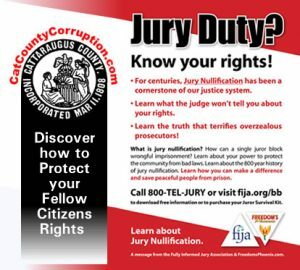 Jury nullification occurs in a trial when a jury acquits a defendant, even though the members of the jury believe the defendant to be guilty of the charges. This may occur when members of the jury disagree with the law the defendant has been charged with breaking, or believe that the law should not be applied in that particular case. A jury can similarly convict a defendant on the ground of disagreement with an existing law, even if no law is broken (although in jurisdictions with double jeopardy rules, a conviction can be overturned on appeal, but an acquittal cannot). More Here. The most famous nullification case is the 1735 trial of John Peter Zenger, charged with printing seditious libels of the Governor of the Colony of New York, William Cosby. Despite the fact that Zenger clearly printed the alleged libels (the only issue the court said the jury was free to decide, as the court deemed the truth or falsity of the statements to be irrelevant), the jury nonetheless returned a verdict of “Not Guilty.” More here. Did you know that, no matter the evidence, if a jury feels a law is unjust, it is permitted to “nullify” the law rather than finding someone guilty? Basically, jury nullification is a jury’s way of saying, “By the letter of the law, the defendant is guilty, but we also disagree with that law, so we vote to not punish the accused.” Ultimately, the verdict serves as an acquittal. More here. Ron Paul, a U.S. Representative and presidential candidate in 1988, 2008 and 2012, is a notable supporter of jury nullification and has written extensively on the historic importance of juries as finders of fact and law. A good example of Juror holdouts is a event that occurred in 1996, Laura Kriho was the sole juror holdout in a drug possession trial that was eventually declared a mistrial. It was discovered that Kriho used the internet that the defendant could fact a four to twelve year prison sentence if convicted. The criminally minded judge Kenneth Barnhill and evil inspired prosecutor Jim Stanley try her for criminal contempt of court after she declined to convict a defendant in a drug case. The action, considered by some attorneys to be an attack on the jury system itself, was debated in local papers and in national law journals. She was found guilty of contempt of court (when you are charged with contempt of court you don’t have the right to a jury trial, another sick joke of the American justice system) and charged with perjury and obstruction of justice however the case was appealed and the charges were eventually dropped after a district court ruled that her statements during secret jury deliberations could not be used against her . It has been argued that improved protection of the holdout juror is a necessary and critical component to the preservation of a defendant’s right to a fair trial . All juror’s have the right to vote their conscience, it is in almost all jury instructions. This right to hold out can come into play at anytime. If you are a jury member and you don’t believe that a person is guilty or you don’t believe that the law is just, you have the right to hold out and not be swayed by the opinions of the other jurors. A judge will most likely rule a mistrial and the chances of a defendant being tried again are minimized due to costs and double jeopardy may attach . Another issue that may come into play is when jurors, who believe a person in innocent, want to placate other jurors who believe a person is guilty even though the evidence tends to show innocence’s. In many of these cases the parties and/or court will seek a lower charge that was not one of the original charges, and the jurors who believe the person is innocent will agree to a lower charge just to placate the jurors that don’t so they can end the trial and everyone can leave believing they did what was right. If a person ever finds themselves in this type of position, holding out will lead to a mistrial and the person accused may never be re-charged because of double jeopardy, so you have succeeded in your efforts in ensuring that justice has been served. 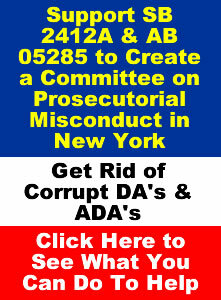 Further if there is overwhelming evidence of innocence, or corruption on the part of law enforcement, or possible juror affiliation with law enforcement, and there are jurors that still want a conviction. There is the possibility that they have a friend or family member that works for, or knows someone in the law enforcement and their opinions are easily tainted from the beginning and they will attempt to sway other jurors to find a guilty verdict. While Voir dire should eliminate this type of issue, jurors are not always truthful. Under CPL 330.30 (2), a motion to set aside a verdict may be granted when it is shown that improper conduct by a juror “may have affected a substantial right of the defendant”. Discovery of a jurors connections to law enforcement would certainly be one of those reasons . Voir dire provides a means of discovering actual or implied bias and a firmer basis [than stereotyping] upon which the parties may exercise their peremptory challenges intelligently. Thus, the voir dire is the mechanism for carrying out the due process mandate that the fact-finder be fair. CPL § 270.20(1)(a) requires examination of the prospective juror’s state of mind to determine if the juror can render an impartial verdict. Among the relevant subjects are marital status, extent of education and area of study, crime victim status, law enforcement affiliation, prior involvement with the law or the courts, occupation, family members and their employment or occupation, and hobbies and interests. In 1972, a three-judge panel of the U.S. Court of Appeals for the District of Columbia (known popularly as “the D.C. Circuit”) issued a sharply-split, thirty-six-page decision in a case entitled United States v. Dougherty, 473 F.2d 1113 (D.C. Cir. 1972). The case involved the question of whether federal trial judges are under an obligation to inform jurors of their inherent right to acquit a criminal defendant even if the jury concludes that the government has proven beyond a reasonable doubt that the defendant violated a criminal statute. There is no question that juries have this power of “jury nullification.” The only question in Dougherty was whether, when or how jurors are to be informed of this prerogative. The jury instructions given by trial judges have discernibly changed regarding this issue over the course of American history. In the eighteenth and early nineteenth centuries, it was common for judges to either fully inform juries of their law-vetoing authority or to provide very few instructions of any kind and let juries do as they will, which invited jurors to resolve all questions of both law and fact. But today most criminal trial judges falsely tell juries that they may only judge the facts and must follow the judges’ interpretations of the law. For example, if a modern judge determines that a law is constitutional (and almost all modern judges rule that almost all laws are constitutional) the judge will instruct jurors that they may not second-guess his interpretation. Some jury instructions even suggest to jurors—utterly falsely—that jurors will be breaking the law or may be subject to punishment if they dare to disagree with the judge regarding the law. These are the only jury instructions regarding juror prerogatives ever recorded as having been delivered by the U.S. Supreme Court. Of course the Supreme Court is mostly an appellate court with an extremely limited “original” or trial jurisdiction—arising only when suits between states or nations are filed directly in the Court. It appears that there may have been three jury trials in Supreme Court history (all during the 1790s) and the records are quite paltry regarding two of them. Unfortunately, however, Judge Bazelon was outnumbered by Judges Leventhal and Adams, who held that trial judges are under no obligation to inform jurors of their “unreviewable and unreversible power . 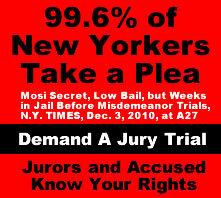 . . to acquit.” The two-judge majority decided that juries did not need to be explicitly informed because the power of jury nullification is implicit in the overall tone of commonly-given jury instructions. The jury knows well enough that its prerogative is not limited to the choices articulated in the formal instructions of the court. . . . Even indicators that would on their face seem too weak to notice—like the fact that the judge tells the jury it must acquit (in case of reasonable doubt) but never tells the jury in so many words that it must convict—are a meaningful part of the jury’s total input. Law is a system, and it is also a language, with secondary meanings that may be unrecorded yet are part of its life. The problem with Judge Leventhal’s 1972 statement is that it is no longer true. During the 1970s, when Dougherty was decided, the common practice was for judges to use the word “must” only when instructing jurors to acquit when prosecutors fail to establish proof beyond a reasonable doubt. In contrast, the word “should” was used when instructing jurors about their obligations when prosecutors prove their cases. But today, many courts have switched to using “must” in both commands. Thus, a central tenet supporting the opinion of the Dougherty majority—perhaps the lynchpin of the decision—is no longer accurate. I have sat in courtrooms where judges not only tell juries they “must” convict, but where the judges emphasize the word “must” as they say the word. In my experience, judges seem especially prone to emphasize “must” in firearm prosecutions, perhaps out of fear that jurors might flirt with considering the Second Amendment as a basis for jury nullification. The Dougherty ruling—built upon a carefully-analyzed split decision—has been something of the law of the land for forty years. 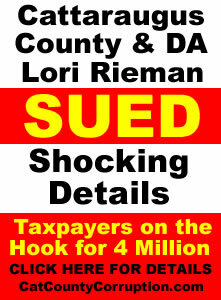 The decision has been referenced more than 300 times by subsequent judicial opinions. As federal case law has developed, the Dougherty rule that judges need never inform jurors of their power to veto laws (or the application of laws to specific situations) has become the rule in all thirteen federal circuits. The Supreme Court has declined to directly address the issue in many years. But as already discussed, common trial practices now stray markedly from the practices upon which the Dougherty rule was based. Again, these practices are without sanction in constitutional history, Framers’ intent, or Supreme Court precedent. Your Rights When Being Questions and/or Accused. 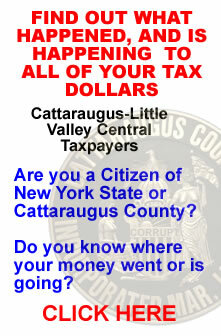 Accused individuals, especially those who live in, or were visiting Cattaraugus County New York have both the US and New York State Constitutions though the District Attorney and her minions do not think so. 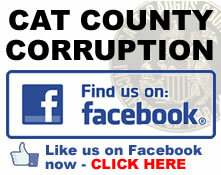 Some of these rights are also found in the various Criminal Procedure Laws (CPL) of the State. 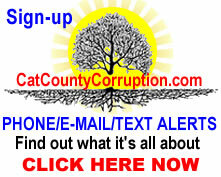 The ‘rights’ of law enforcement are also codified in the CPL, except here in catt county where they will just make them up as they please, which of course they are not allowed to do and that has led to a four million dollar lawsuit and soon others. In this video it shows you what your rights actually are and how to exercise them properly. You don’t have to answer ANYTHING anyone asks you. J.E.B. v. Ala. ex rel. T.B., 511 U.S. 127, 143–44 (1994). Batson v. Kentucky, 476 U.S. 79, 89 n.12 (1986); People v. Johnson, 94 N.Y.2d 600, 610–11, 709 N.Y.S.2d 134 (2000); People v. Blyden, 55 N.Y.2d 73, 76, 447 N.Y.S.2d 886 (1982); People v. Branch, 46 N.Y.2d 645, 652, 415 N.Y.S.2d 985 (1979); People v. Boulware, 29 N.Y.2d 135, 139–40, 324 N.Y.S.2d 30 (1971), cert. denied, 405 U.S. 995 (1972).